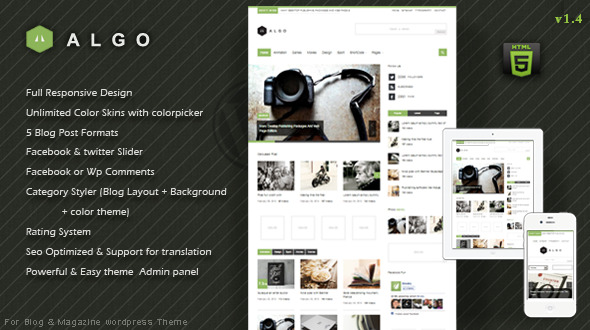 Algo is a stylish and professional WordPress theme, that can be used for Blogs, videos, magazine sites or other types of websites you are interested in. The theme is powered by professional Framework and is fully localized/internationalized and has been tested in all major browsers so you will be totally sure that your users will see correctly your website. It’s , clean, Search Engine Optimized and comes with 5 post listing Format and Unlimited Skins with colorpicker. 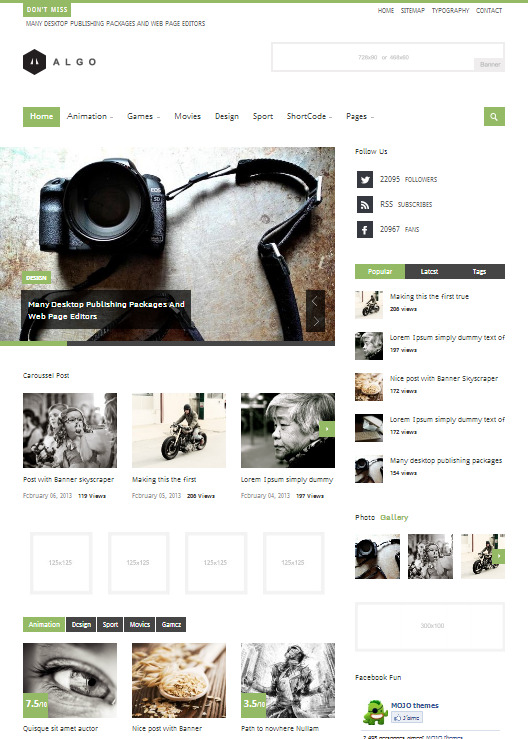 Also you can customize each Category with a style Layout,color theme and Background image. The theme is very easy to be customized for beginners as for experts.